Also known as Shiraz, Syrah is a dark skinned grape variety used alone or in blends. We use it both as a blend with our Cabernet Franc and as a stand-alone variety. Because of our extreme swings in day and nighttime temperatures, the grapes take on a leathery, smoky, flavor with notes of blackberry and pepper, and develop a deep red-purple color. The winters here can be a little hard on the vines, especially when young. 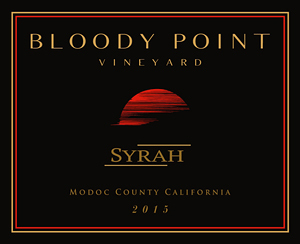 It is the combination of climate stress, soil stress, and bright sunlight that lend uniqueness to our Syrah. It pairs nicely with barbecued foods and red meats like steak, lamb and game birds. It is also a great wine to be enjoyed with appetizers.